Page Builder Framework is a freemium WordPress theme. It offers the theme for free with premium add-ons to extend the functionality. 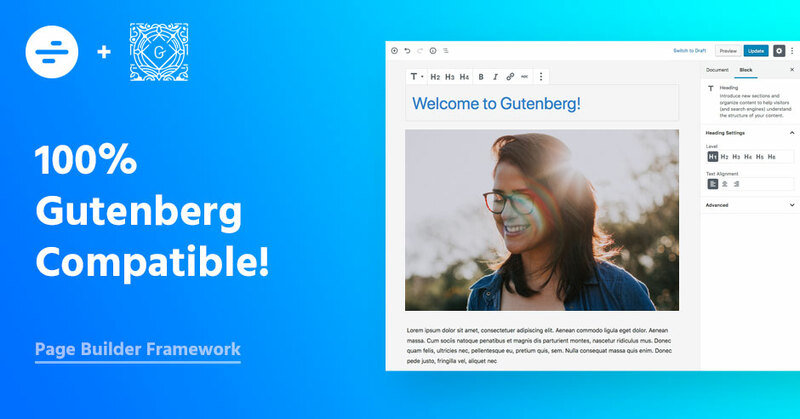 Page Builder Framework is now 100% compatible with Gutenberg – the new Block Editor for WordPress!